Shawn Michaels is back and it seems like he’s not only taking bumps, but he’s going to be placed into a match for the Saudi Arabia Crown Jewel show. But after that, it looks like WWE could have a few different options. 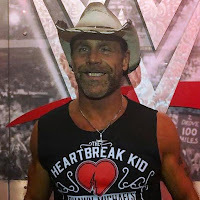 Joe Peisich of Barnburner’s No Holds Barred podcast said that he has heard rumors that WWE could be stacking a special Survivor Series match just for HBK if a one-on-one match isn’t to his liking. Joe seems to hear a lot of rumors about proposed matches that if they don’t end up happing in one instance, they could be used in another. While a one-on-one match with HBK might be fun, he possibly doesn’t want to work all by himself so a tag match might be really a good idea to keep all sides happy. If WWE went this direction it could also give John Cena something easy to do so he wouldn’t have to carry a whole program and then have a match in LA. After all, he’s incredibly busy as well and can’t make it to television to build a match like he used to.